A Study Conducted On The Man-Animal Interactions As Asiatic Lion Numbers Increase In Gir National Park And Its Adjoining Areas. Large carnivore populations are a rarity and saving them is a key conservation directive. Sadly, these mighty and fierce predators are among the most vulnerable, their existence being dictated by extraneous factors like their prey base, habitat and human interfaces. Being possibly the most charismatic and the least elusive representative in this category, Asiatic lions have always enjoyed a lion’s share of our mindshare and also happen to be the focal point of our study. Gir National Park today holds its pride of place as the only refuge of the charismatic Asiatic lions. The turnaround of the majestic lions, once down to double digits, will go down as one of India’s most successful conservation stories. However, in this picture-perfect narrative of exemplary human-animal coexistence and efficacy of the forest administration, there are unanswered questions. Lion numbers might touch 600 soon and Gir PA cannot cradle them all. The king and his clan have stepped out years ago in pursuit of new homes, their need for a protein-rich diet in direct disagreement with the interest of livestock-owning communities. Amidst reports of kills, conflicts and compensations, the situation is delicately poised, with locals still putting up a resilient front towards their Lion-Gods. But what happens when the scale tips, maybe in another ten years from now? How long before the local reverence changes to retaliation? How do lions find undisturbed homes in a state driven by infrastructural growth and burgeoning population? Can Gujarat create a suitable second refuge for the lions? Does the answer to a new home lie beyond Gujarat? Such questions have been deliberated for long and addressed by the who’s who of the conservation community, further to which the Hon’ble Supreme Court has pronounced its judgment. Five years later, the implementation of the judgment is yet to be greenlighted as the swelling lion population continues to make inroads and conquer new territories. At this crucial juncture, we visit Gir and its peripheries to understand the situation on-ground; review public literature, comb through information from the Forest Department, conduct semi-structured interviews with stakeholders and present an independent, unbiased, bird’s eye view of the Asiatic Lion saga for our readers. Originating in East and South Africa, Asiatic lions came into western India during the Neolithic age. The Kathiawar Peninsula, where Gir forest is located, was separated from mainland India by rising sea levels. This isolated the ancestors of the present Asiatic lion population and compelled them to inbreed for several generations. By the onset of the 19th century, Gir forest was the solitary home for a surviving handful of just 12-50 individuals, this majestic species being nearly eradicated by hunting and habitat loss. The tide, however, turned in its favour, owing to timely and stringent protection measures taken by the erstwhile Nawabs of Junagadh and their good work was followed up through effective habitat management by the forest department. The colossal efforts did not go unrewarded and the Asiatic lion population showed a spectacular recovery to 523 individuals in 2015 (Figure 1). The conservation efforts continued, so did the revival. But now the expanding population needed a bigger home and the big cats started dispersing, sauntering into 22,000 sq. km of agro-pastoral southern and eastern Saurashtra landscapes adjoining the Gir forests, namely the Gir Protected Area (PA), Girnar Wildlife Sanctuary and revenue areas of Amreli, Bhavnagar, Junagadh and Gir Somnath districts. 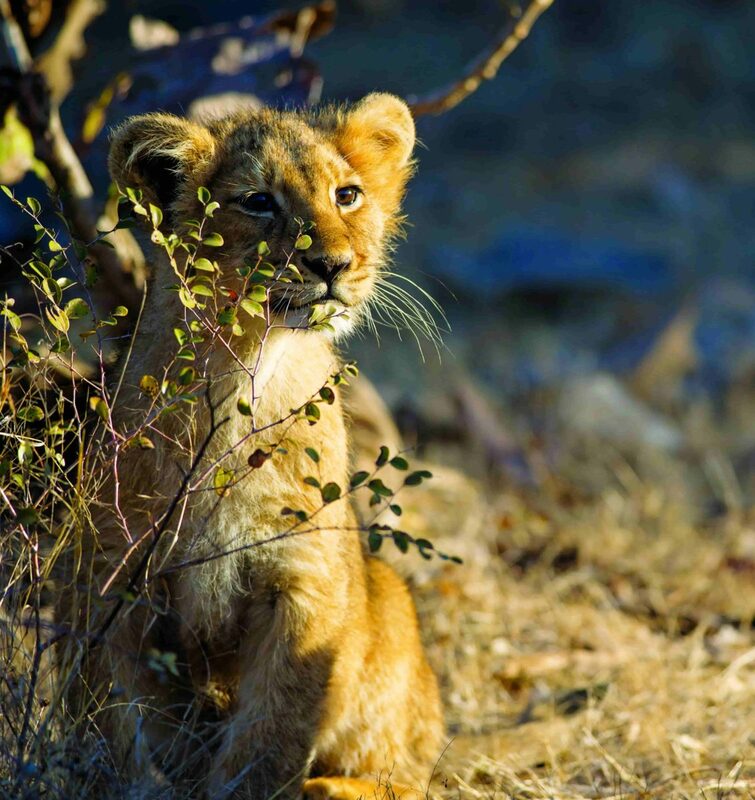 So, while the remarkable turnaround and recovery of the Gir lion population mark a conservation success story, it also poses serious challenges for wildlife managers and conservationists to maintain a minimum viable population. While it is always desirous to have an increasing size and number of protected habitats, a viable population also needs a minimal area for survival. The carrying capacity of Gir PA is about 300 and as the ownership in this landscape is mostly private, creating new PAs in Saurashtra is also not a feasible alternative. Greater Gir’s lion territory extends into Amreli, Dhari, Junagadh, Gir-Somnath and Bhavnagar districts and is managed by forest divisions: Gir (West), Gir (East), Junagadh Forest Division (JFD), Amreli Division and Bhavnagar Forest Divisions. The Gir Conservation Unit (GCU) comprises Chachai-Pania Wildlife Sanctuary (39.64 km2), Reserved Forest (245.90 km2), Protected Forest (107.51 km2) and Unclassed forest (77.19 km2) of valuable grassland and forests forming a buffer area around Gir Wildlife Sanctuary and National park. Located in the southern part of the Kathiawar peninsula, the Gir WLS and NP (known as Gir PA) extends across Dhari, Amreli and Junagadh districts. The districts are highly populated with an agriculture-based economy. Fish processing, industries around sugar and edible oil production, cement industry, and solvent extraction processing are some of the chief industrial activities of the region. With reserves of limestone and lignite, industries in Bhavnagar district include soda ash, shipbreaking, shipbuilding, plastic manufacturing, diamond polishing and cutting, chemicals, engineering products, foundry, salt, tobacco products, rubber, textile machinery and agro-product based units. 97 peripheral villages with over a lakh people and over 90,000 livestock can be found within 5 km of the PA. Farm-based agriculture, horticulture and animal husbandry drive the economy in this landscape. Covering 205 sq. km, Girnar Wildlife Sanctuary is located north of Gir PA at a distance of 22 km in Junagadh district. Palitana, Savarkundla and adjoining lion habitats (250 km²) are largely part of Bhavnagar Forest Division. There are about 50 nesses in the PA. Each ness is home to about 3-20 Maldhari families, with each family rearing 20-100 indigenous livestock. Communities have been rarely found to co-habit harmoniously with large predators but the Maldharis live to tell a different story. Rapid interviews conducted in Khada, Gangajariya, Dudhala, Jambuthala echoed their immense tolerance towards lions. In Gir, Maldharis, a pastoral, multi-ethnic community, stay within the forests and live with the lions. Rearing livestock and selling milk products are their primary occupations. Granted free grazing rights within the forests, Maldharis reduce their annual livestock rearing cost substantially in comparison to the non-forest dwelling pastoralists. A decent government compensation scheme for livestock predation further adds to their profits making it a winning economic model for the community. This arrangement works for the lions as well. Given the easy availability of prey, lion density is higher around areas of Maldhari settlement, making it a win-win situation for both the man and the beast. The famed lion-Maldhari coexistence is thus a story with many facets; a strict protection regime for lions, Maldharis’ traditional reverence towards lions and the delicate balance of survival tactics and livelihood economics. CCF (WL) Junagadh, Dr. A.P. Singh and Dy. C.F, Dr. Ram Ratan Nala believe that the vibrancy and success of Asiatic lion conservation in Gujarat is possible only because of the continuous support of locals. They believe that generating support among people by legalising such tolerance is an important step towards protecting the lions. Interviews with private landowners in Karsangadh, Bhojde, Mendarada, Amreli and Savarkundla showed that people welcome lions in their farms as their presence keeps crop pests such as nilgai and wild pigs at bay. However, such farms also use electric fencing to deter crop-depredation, usually operating at a higher voltage than recommended. This results in damage and mortalities to wildlife and unintended mortalities happen to lions too. Such incidents can be reduced if the forest department starts a compensation scheme insuring against crop damage which might prompt the farm-owners to do away with the high voltage fences. At present, dispersing populations of Gir lions have occupied landscapes in Amreli, Dhari, Savarkundla and Bhavnagar, these being areas where generations have no memory of lion presence. As a consequence, the association and bonding towards the lions are not as prevalent as with pastoral communities within the PA. Lions have not only reoccupied their old homes in these districts but are increasing in numbers owing to the availability of vacant spaces, protection from the Forest Department, and the presence of livestock and large wild ungulates such as nilgai. Although lion encounters in these areas are a reality, negative interactions, conflicts and intolerance are still under socially acceptable limits making co-habitation in the landscapes possible. Reports in the media indicate the rising confrontation scenario with humans being killed and mauled in Ambardi (Dhari) and Khambha (Gir West). The Gujarat government also reported that as many as 184 lions died during the last two years in and around Gir forest. Out of these, 32 lions died unnaturally due to conflicts arising out of cohabitation with humans such as falling into wells, electrocution or getting killed on railway tracks. Conservationist Dr Ranjitsinh (Down to Earth, March 7, 2018) has been quoted in a publication as, ”So long as the straying lions kill nilgai and wild boar, they will be tolerated by locals. But once they turn to cattle, patience will run thin. In such cases, people turn to poisoning the kills. Poisoning a tiger or leopard kill kills only a solitary animal. But in the case of social cats like lions, the whole pride suffers”. Lions living outside formal boundaries of Gir forests require 2-3 times larger ranges than their counterparts inside PAs***. The landscape outside PAs offers dispersed resources in terms of prey base and refuge, causing lions to range more in search of food and shelter. Outside the PA, a relatively undisturbed habitat of 4 sq. km or more is required for lionesses to breed and raise cubs. This opens up new challenges for their conservation as it is not possible to maintain large tracts of undisturbed habitats in a human-dominated landscape with private ownership of land. Such patches need to be conserved or atleast maintained without any changes to the land use in order to conserve a breeding population of lions outside the PA.
Gir PA has a long-standing history of experienced forest trackers, who pursue wildlife and lions on foot based on their vocalisations, pugmarks and other cues. These trackers measure the pulse of the wildlife population and the forest and play an important role in the conservation story. The art of tracking animals based on their signs, is one of the highest forms of bushcraft, which can be carried out only by those who have intimate knowledge of the forest and its inhabitants**. Trackers also look out for wounded or diseased animals and report serious issues to prevent mishaps. Lions falling in open wells and getting killed on railway tracks used to be a problem to watch out for five to eight years ago, the issue has been largely mitigated with proactive measures from the Forest Department such as creating boundaries and parapets around 18,000 open wells and regulating stringent checks and speed limits on railway tracks. Another important facility developed by the department are the state-of-the art medical and rehabilitation centres which provide round the clock assistance to injured and diseased wildlife in the PA.
Humungous and persistent conservation efforts of the Gujarat Forest Department has been ably supported by the unconditional love for the lions by the people. As one of the many innovative measures, the Department has regularised a scheme of Vanyaprani Mitras to support the village youth monetarily and logistically by engaging the interested youth in managing and tracking lions in and around their villages. Information on emergencies and conflict situations outside the PA are made available to the forest department almost immediately owing to the prompt actions of around 300 Vanyaprani Mitras in the region. Tourism in Gir has increased by leaps and bounds over the years, not only generating huge revenue but also fostering awareness regarding lion conservation among the general public. As per the 2015 GFD tourism report, Gir is one of those PAs in India that receives maximum turnover of tourists (last year was ~5.2 lakhs). Such an influx has provided employment opportunities to an array of people belonging to different economic strata such as gypsy drivers, hoteliers, guides and general store owners and in turn, urged them to safeguard the lions. The revenue generated from tourism is, in turn, channelised to the Gujarat Lion Conservation Society for the conservation and management of the lion landscape. Barda Wildlife Sanctuary in Porbandar district has been envisaged as the second home for the expanding lion population in Gujarat. The agro-pastoral part of the landscape and the sanctuary together can support a maximum of 26-35 lions*****. While the eco-climate and vegetation here is similar to the eastern part of Gir PA, the current low prey density is inadequate to sustain even a small lion population. Moreover, the habitat corridors between Barda WLS, Gir PA and Girnar WLS are less conducive for lion movement due to human pressure and infrastructure. Leopards are currently the apex predators in this ecosystem and releasing lions can displace leopards to the park’s peripheries leading to conflicts with villagers. The Maldharis here have a lower livestock holding per capita and hence the retaliation could be much severe. These issues need to be addressed before Barda can emerge as a viable second refuge. Maldharis in Barda are not as tolerant as Gir Maldharis. Instances of illicit liquor trade have been found inside Barda****. Lack of education and the remote and hostile terrain of Barda is also an impediment for these forest dwellers from accessing better markets and diversifying their livelihood options. However, these Maldharis are ready to settle outside for a compensation. A fair, incentive-driven, voluntary relocation plan should be immediately initiated to create inviolate areas in the Barda WLS. Disasters such as an epidemic, an unexpected decline in prey, natural calamities or retaliatory killings could result in the extinction of lions when they are restricted to single populations. Reintroducing Asiatic lions to an alternative site to ensure their long-term viability, therefore, became a major conservation agenda in post-independent India since the late-1950s. The first attempt to reintroduce Asiatic lions to Uttar Pradesh’s Chandraprabha Wildlife Sanctuary in the 1960s was a failure due to the lack of a theoretical scientific study on lion prey base, habitat requirements, local people’s attitude and a post-release monitoring program. In the early 90s, wildlife biologists identified a potential site in Kuno WLS, Madhya Pradesh. As per the Supreme Court’s judgement, protocols for lion reintroduction in Kuno are being actively pursued by MoEF, Gujarat FD, Madhya Pradesh FD and WII. As an alternative to relocation, lion conservation would benefit from as many free-ranging populations as possible. This resulted in Barda being selected as an alternative site for reintroduction of Asiatic lions by the Gujarat Forest Department keeping in mind its eco-climatic and human community similarities to the Gir landscape. The deliberations continue over moving lions to Kuno WLS, and despite a 2013 Supreme Court order which enforced the translocation with immediate effect, this process remains deadlocked. 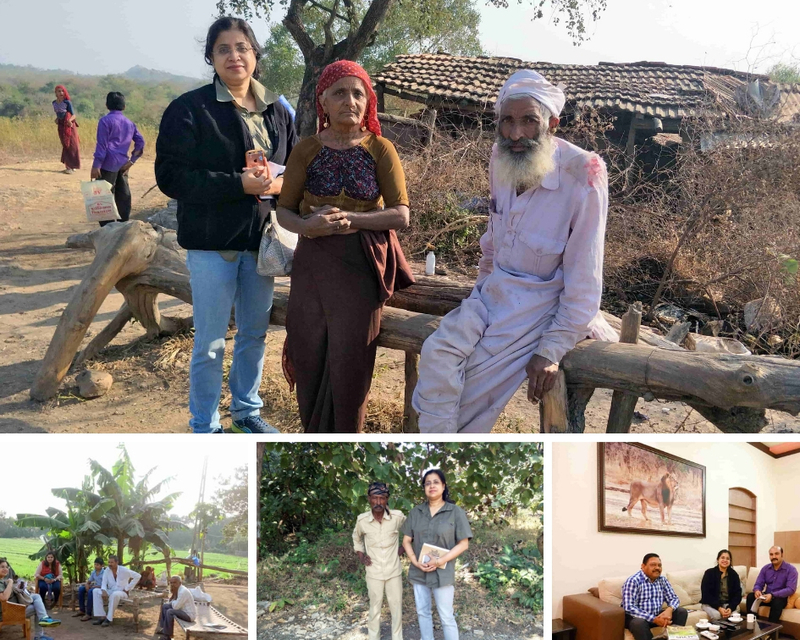 Maldharis, farm owners and even Tracker Mohammad Bhai are unanimous in voicing that Gujarat’s Forest Department and people have shown incredible efficacy in conserving lions – primarily because lions have been in Gujarat from a very long time. The overwhelming public sentiment in accepting and taking pride in the lions has led to the present conservation success story, which might be difficult to reproduce elsewhere. Dr. Ram Ratan Nala states that lions are occupying new and larger expanse of territories, which would reduce any alleged effects of inbreeding. This safeguards any imminent need for the difficult process of translocation. Following the Supreme Court judgement and with efforts from the Forest Department, prey base has increased in Kuno WLS. However, as mentioned by Gujarat Forest Department, few things are still not working in favour of the translocation. The climatic conditions at Kuno are two degrees warmer, the area witnesses tiger movement due to a corridor existing to Ranthambhore, and poaching and hunting incidents are reported from the area. The challenge of successfully translocating a large mammal is also another deterrent in taking this forward. In a recent development, as per the Apex court’s directive, Gujarat has constituted a 9-member sub-committee headed by the PCCF (Wildlife) Gujarat State. A similar sub-committee will be constituted in Madhya Pradesh to facilitate the translocation. Further, each sub-committee will have representation from the other state party and this will ensure that all concerns of the Gujarat government are resolved and lion translocation can take place without hindrance. Available information and personal interviews revealed interesting facts. Lions in Gujarat are unanimously tolerated and revered by locals. However, such tolerance is possible because of the slow colonisation of lions in the outer landscape and the people of Gujarat being relatively well off. This high per capita income has caused livestock depredation by lions in the landscape to be under sustainable capacities. Also, prompt compensation schemes help in easing people’s losses, creating an economic reason towards the tolerance. However, with increasing lion and human numbers, a rising conflict is imminent. As per the last census, human population in Gujarat has grown by 19.17% while lions have increased by 126%. These numbers point towards the greater interface between humans and lions, which over a period of next five or ten years may not be able to maintain a balance and finally lead to conflict, retaliation and retribution. Compensation schemes need to be continued and could be enhanced to try and keep people from retaliating. The area outside the PA has low wild ungulate densities, comprising mostly of nilgais and wild pigs. The prey base in these areas is mostly domestic livestock (feral and owned). With rising lion numbers this cannot be sustained beyond a point. For long-term persistence of lions in the landscape, it is crucial to safeguard habitat patches and corridors that are available, so that they do not undergo drastic changes in land-use. Right now, concrete walls and linear developments are coming up in the whole of Saurashtra, which could be detrimental to lion movement and persistence. As a state, Gujarat has a developmental mindset and while it takes great pride in safeguarding a large carnivore, no new forest patches and no new PAs are coming up. There are a lot of landscape-level changes too. Earlier, the land would lie fallow after one crop season, whereas now farming is carried out throughout the year. Today, farmers are cutting thickets of Proscopis and creating farmlands due to good irrigation and water supply being available. Tourist resorts are also mushrooming with the lure of the lion-king drawing them in hordes. These packets of land are important for lions. Female lions require an area of about 4 sq. km to breed, which means such patches should be left unaltered for the long-term feasibility of lions in the landscape. Forest department should actively restore/safeguard available habitats and sudden changes in land-use are not acceptable. Also, legislation needs to be in place to ensure 4 sq. km patches as Conservation or Community Reserves. The Maldhari community in Barda needs to be relocated at the earliest. Around 450 families have received relocation packages till date, as reported by the Forest Department. 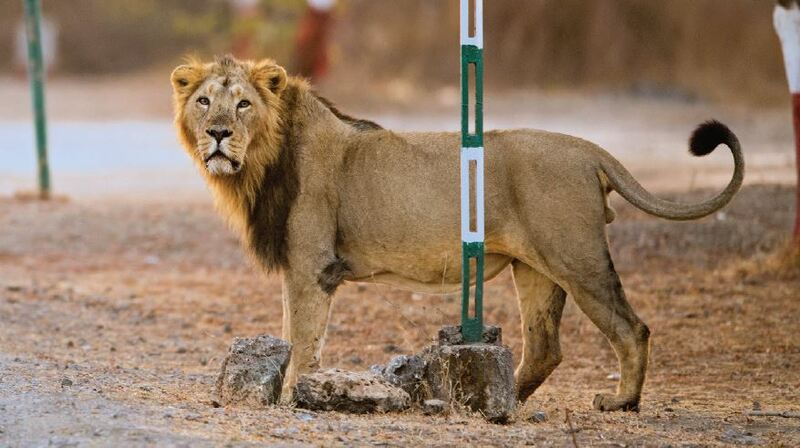 All of this information makes it evident that lions and humans in Gir are currently balanced on a delicate fulcrum. Connecting source populations through corridors, rapid compensation to loss of human life and property, reduction of sudden land-use changes in the landscape are three crucial steps to save Asia’s last lions. 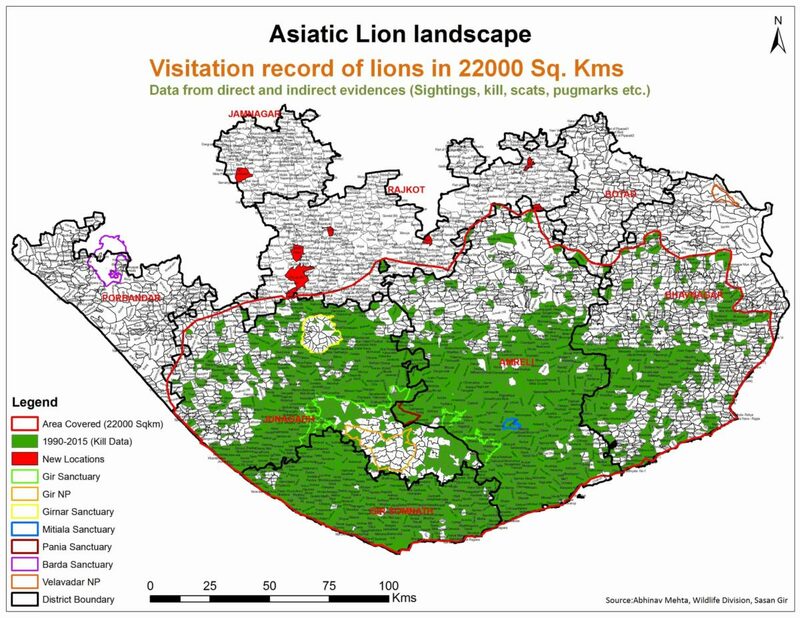 The increase in Asiatic lion population in the Gir eco-system is a remarkable conservation success story and full credit to the policymakers and effective and superb management by the Gujarat Forest Department in making this happen. It is well recognised that the people of Gujarat have contributed to this success story because of their love, reverence and worship of the Asiatic Lions – often referred to as the “Pride of Gujarat”- and will go to any length to protect them from harm and poaching. There is clearly a learning curve here for safeguarding other endangered species elsewhere in our country. However, now the Gir Landscape is overpopulated with Asiatic lions where they are boxed in from all sides by heavy human habitation. The 2015 census showed the strength to be 523 lions in the Gir eco-system. The Asiatic lion population has already reached a saturation point, are spilling out of the national park into unprotected, human-dominated areas and are now found 100 km from the Park and man-lion conflicts are on the rise. The conservation challenge to increase numbers now has changed to effectively manage a growing population living in close proximity to humans and that is why translocation assumes significance. In 1990, the Wildlife Institute of India proposed the creation of a second wild population of Asiatic lions to safeguard the species against potential calamities and catastrophes like an epidemic, large forest fire etc. in Gujarat’s Gir National Park. For example, in the Serengeti eco-system, Tanzania an epidemic wiped out about 30% of the total lion population where hundreds of lions died from an epidemic of CDV and free ranging dogs were considered the likely culprit. On 15 April 2013, the Supreme Court of India acknowledged translocation to Kuno Wildlife Sanctuary (Kuno) in Madhya Pradesh as being in the best interest of the species and ordered the translocation to be carried out within six months. In Kuno, there is sufficient prey base, the similarity of habitat and where the Asiatic lions historically roamed. However, the proposed translocation is unpopular in Gujarat and has been contested by the state government and till now the Supreme Court judgement has not been implemented. The proposed translocation has met a deadlock owing to apprehensions about the site from the Gujarat Forest Department and local people. Based on inputs from leading conservationists, a small pride of 10 to 15 Asiatic lions should be introduced from outside the Gir National Park to Kuno and should be tagged and monitored for one year. Depending on the outcome a few more lions should be introduced until a self-propagating population is developed at Kuno. This is a very small number proposed to be transferred to Kuno compared to the 523 Asiatic lions as per the 2015 census in the Gir eco-system. India has successfully translocated tigers, rhinos, Indian gaur and other species. For the long-term conservation of Asiatic Lions free Gir National Park from the Maldhari’s by generous resettlement schemes on a totally voluntary basis and develop a lion base which primarily thrives on wild prey rather than old and discarded cattle of the Maldhari’s. The Maldhari’s have started a very lucrative milk and dairy products business resulting in commercial vehicles coming into the park to collect the produce from their villages. This leads to noise, dust and disturbance of the habitat. The space vacated by the Maldhari villages will create more area for Asiatic lions within the national park. Only through prudent co-operation, partnerships and multidisciplinary engagements could a species so well ingrained in human psyche be conserved. We believe the last time a critical conservation scenario was posed for lions, the partnerships between the Nawab, Colonial rule, local people and the adjoining ruling states saved the day for the last lions of Asia. We might have to do the same with multi-stakeholder partnerships to conserve the lions. A great example of inter-country co-operation for the sake of conservation is the Rhinos without Borders programme which aims to secure the survival of rhino by translocation from high-risk poaching areas in South Africa to comparative safety in Botswana. We should look at the long-term conservation of this species in the national and international interest and not forget that the Asiatic lion is the national emblem of India and recognised as such by appearing on all passports, currency and official letterheads and belongs to the whole of India. Stotra Chakrabarti is a Senior Fellow with the Wildlife Institute of India and has conducted his doctoral study on the social behaviour of Asiatic Lions. His work has been published in international journals like Animal Ecology and Behavioural Ecology and he has also penned popular articles in various reputed magazines. We are grateful to Mr. A P Singh and Mr. Ram Ratan Nala for their kind co-operation in sharing the inputs and to the Wildlife Institute of India’s Asiatic Lion Project whose data has been referenced in some parts of the report. We are also thankful to Palak Patel and Pinal Patel for their support during the field visit. Disclaimer: Saevus magazine cannot be held responsible for any independent views expressed in the story. In case of any clarification or objection, the concerned person /organisation may be contacted directly. Lesser Florican-a bird lesser than none!